I focus on greenhouse gas emissions in agriculture ecosystem. I have devoted much effort to soil gas diffusions and carbon cycling in agro ecosystem. I am also interested in minimum tillage, residue incorporation and biogeochemical responses to global changes, such as rising atmospheric CO2, climate change and N deposition. Based on stable isotope techinques, the contribution proportions of photosynthesis and respiration to net carbon flux are determined by the EC(eddy covariance)/flask method in wheat-maize rotation cropland ecosystem in the Huabei plain. Soil respiration is determined by LI-8100 automated soil CO2 flux system. The different sources and components of carbon flux is quantified in cropland ecosystem. Based on eddy covariance technique and the methods of physiological plant ecology, the carbon and water fluxes of typical terrestrial ecosystem were observed to identify the characteristics and inter annual variability. Chief investigator of the study of the carbon isotope fractionation during respiration process in a winter wheat-summer maize double cropping rotation in Huabei Plain. (Grant No. 41473021). The research focuses on the interannual, seasonal, and diel variability in the carbon isotope composition of respiration in a C3/C4 agricultural ecosystem; it clarifies the carbon isotope fractionation effect during respiration process at soil- atmosphere interface. The research is devoted to the influences of soil moisture,temperature and δ13C content of soil organic matter on ecosystem respiration and its carbon isotope signature; the research objective is to find the mechanism of the effects of abiotic factors on the carbon isotope fractionation effect during respiration process in a winter wheat-summer maize double cropping system in the Huabei Plain. Y.Y. Wang, C.S. Hu, W. X. Dong, X.X. Li, Y.M. 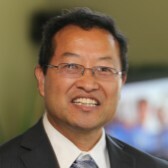 Zhang, S.P. Qin, O. Oenema. Carbon budget of a winter-wheat and summer-maize rotation cropland in the North China Plain. Agriculture, Ecosystems and Environment 206, 2015: 33–45. Y.Y. Wang, C.S. Hu, H. Ming, Y.M. Zhang, X.X. Li, W.X. Dong, O. Oenema. Concentration profiles of CH4, CO2 and N2O in soils of a wheat–maize rotation ecosystem in North China Plain, measured weekly over a whole year. Agriculture, Ecosystems and Environment 164, 2013: 260–272. X.X. Li. Methane, Carbon dioxide and nitrous oxide fluxes in soil profile under a winter wheat-summer maize rotation in the North China Plain. PLoS one 9, 2014 (6): e98445. Y.Y. Wang, C.S. Hu, B. Zhu, H. Y. Xiang, X.H. He. Effects of wheat straw application on methane and nitrous oxide emissions from purplish paddy fields. Plant, Soil and Environment 56, 2010 (1): 16–22. Y.Y. Wang, B. Zhu, Y. Shi, C.S. Hu. Effects of Nitrogen Fertilization on Upland Rice based on Pot Experiments. Communications in Soil Science and Plant Analysis 39, 2008 (11): 1733–1749. Y.Y. Wang, B. Zhu, Y.Q. Wang, M.R. Gao, X.M. Ma. N2O emission from Paddy Field under Different Rice Planting Modes. Wuhan University Journal of Natural Sciences 11, 2006 (4): 989–996. S. P. Qin, Y. Y. Wang, C.S. Hu, O. Oenema, X.X Li, Y.M. Zhang, W. X. Dong. Yield- scaled N2O emissions in a winter wheat summer corn double-cropping system. Atmospheric Environment 55, 2012: 240–244.